From the founding of America's dance culture to today's square dance activity, follow the footsteps back in time to visit with some amazing people and dance events that depict the historical evolution of the modern American square dance. Based on real people and events, the historic stories are very readable and enjoyable style, revealing the lifestyles of those who contributed to bringing the joy of America's cultural dance to others. You will witness how dance affected the rhythm and lifestyle across the United States and then to foreign countries. It explores pattern dances reflecting on how various dance styles influenced another and the progression of dance. You will experience the expansion across this country and how dance was influenced along the way. You are taken to the Appalachian Mountain area to witness the Kentucky running set and to New England's quadrilles and contra dances. Memories of past dance experience is visited as its history comes alive through the evolution of dance traditions and a visit with our dance pioneers that influenced and impacted our lives. 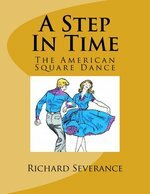 The time line on the evolution of the American Square Dance begins in Europe to the founding of America, through the Colonial times, the contribution of the African American influence and the western expansion, the depression period, the effect of the World War 11 and the growth that took place with the return of the American soldiers. We visit with George Washington and the political influence that took place at colonial dances, Eleanor Roosevelt dancing during the depression, Jimmy Carter bringing the Modern Western Square dance to the White House. Discover how the square dance brought democracy to Japan. Henry Ford's efforts in the revival of dance to Lloyd Shaw's western style impact on square dancing with his high school students Cheyenne Mountain School dancing tours. The building of roads and transportation improvements and the growth of the recording industries along with a proliferation of publications brought about a major growth in people getting together to dance. Dance choreography changes brought about the modern western square dance. Dance events and conventions flourished. You will visit with modern western square dance pioneers Charlie Baldwin, Bob Osgood and Stan and Cathie Burdick. This countries famous animator, Chuck Jones, involvement in square dancing is revealed. 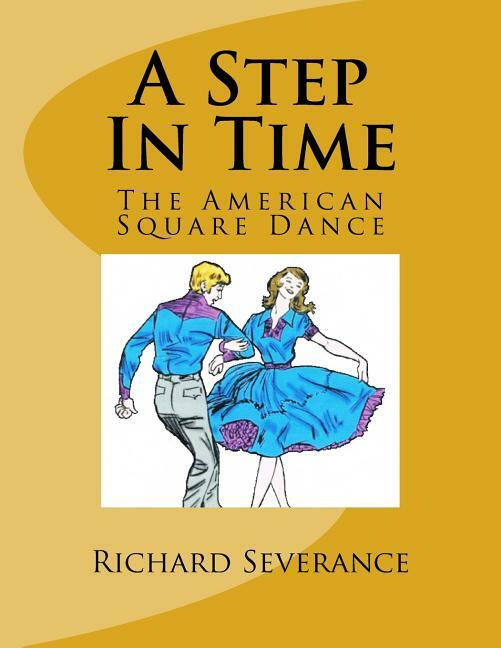 This book features many charts and timeline treasures listing movies that featured square dance scenes, square dance halls that came into being across the country and the many different dance gatherings. You will meet some of the women involved in square dancing. You will also visit delightful stories of the Brundage square dance family and the Tirrell round dance family. See how clothing trends followed our dance activity. Today's Modern Western Square Dance will continue to evolve and change. You will learn what efforts took place to preserve the history of the square dance activity. You will see the background of how round dancing complimented square dancing. Every page brings with it the enthusiasm for dancing. You are taken on an adventure that will broaden your perspective on dance and will make you want to be a part of the future dancing experience. It will please the casual reader, dance leaders and the dancer along with historians with its insight and behind the scene stories. It is the most complete and informative book bringing together all in one place everything you will ever want to know about the pleasures and joy in the human relationship of dance. The historical documentation in this book brings the reader through the past years and creates the opportunity so that the future of social dance can continue to be a contributing factor.